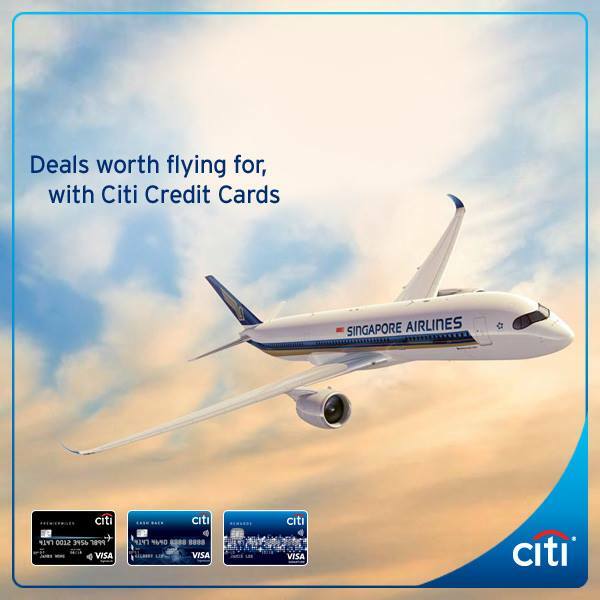 Home > Bank > [Citibank ATM] Enjoy exceptional fares on Singapore Airlines to over 55 destinations, with Citi Credit Cards. [Citibank ATM] Enjoy exceptional fares on Singapore Airlines to over 55 destinations, with Citi Credit Cards. Enjoy exceptional fares on Singapore Airlines to over 55 destinations, with Citi Credit Cards. Plus, receive a 20” New Yorker trolley luggage with a min. spend of S$1,600*. To enroll, please SMS to 72484. *Luggage is only valid to first 1,000 cardmembers that successfully enrolled and meet the spend requirement in a single transaction. T&Cs apply. Next: [Courts] HomeClub members, rejoice!